I'm so excited to share our next big fundraising event with you all. On May 5th 2017 Livvy should have turned 18, so rather than make the day one of sadness and loss we decided we would celebrate her with style. 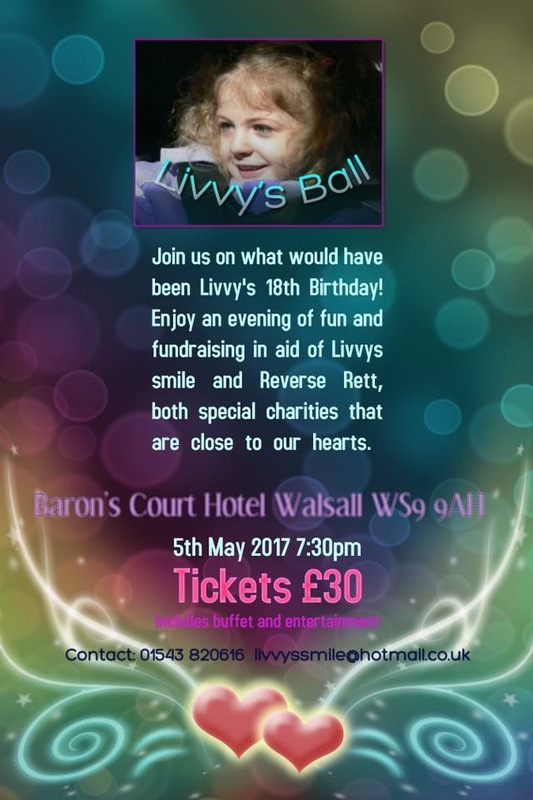 So join us at Livvy's Ball, all monies raised will be shared between Livvy's Smile and Reverse Rett UK. Its going to be a magical memory making night one which we hope will honour Livvy on her special day.